In the stock market rally, several industries have been left out. 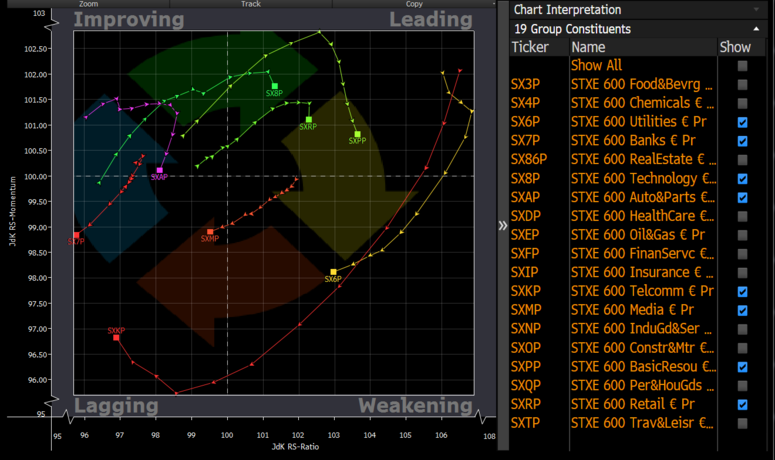 Banks (SX7P) are still the worst-performing sector after autos over the past year, and looking at the relative rotation chart sentiment toward lenders is still poor. Banks have been stuck in a difficult environment comprising a weak euro, falling bund yields and an extended period of low interest rates. The scene may not change overnight, but some things may push investors to take a fresh look at the sector. 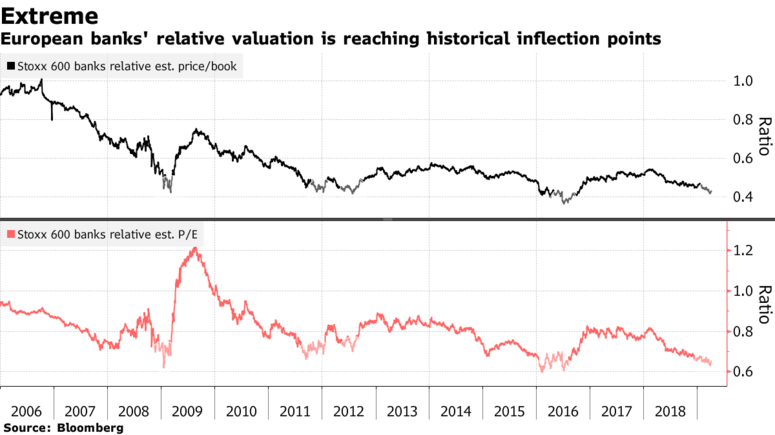 Citigroup strategists said in a note on Friday that cheap value stocks are trading at a similar relative price-to-book to the levels during the financial crisis. Historically, it has proven to be a turning point, particularly for European banks. 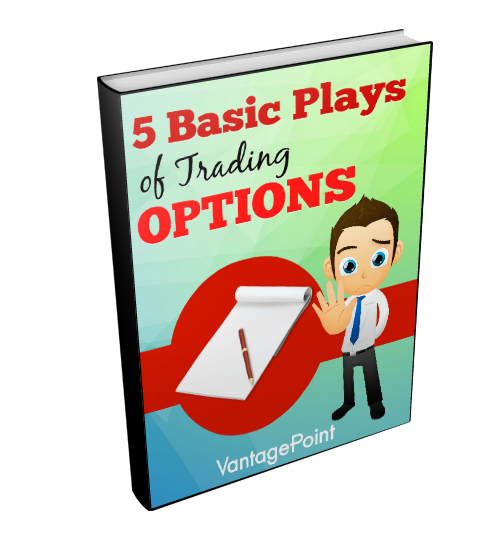 It’s the only sector trading below book value. 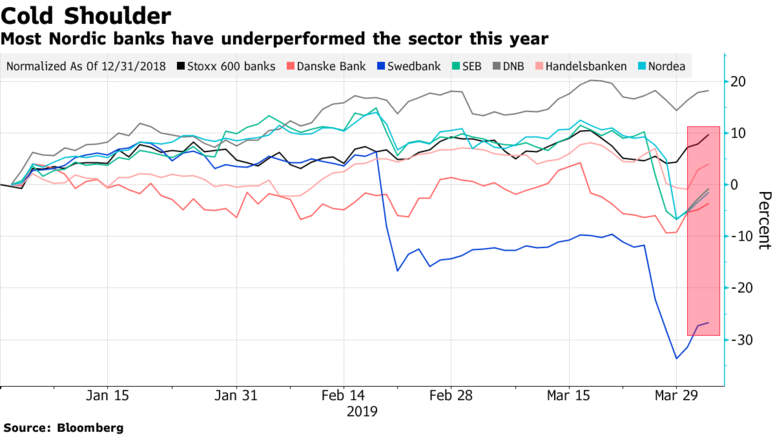 Nordic banks have been particularly battered this year, plagued by money-laundering allegations that may result in large fines. Investors have been warned that betting on the region’s lenders, particularly Swedbank, is risky, although voices are rising to support the sector. UBS analysts said on Friday that Nordic banks offer an attractive risk/reward. Their discount to the historical average prompted UBS to keep buy ratings on SEB, Nordea, Swedbank and Danske Bank, with 45 percent upside potential on average. Going back to the broader sector, since breaking out of its downtrend, the Stoxx 600 Banks Index has moved sideways. The negative newsflow and a dovish ECB didn’t help. But that may change amid noise on the M&A side. The key to the sector’s much needed consolidation might lie with cross-border mergers. This could happen when the European Deposit Insurance Scheme is implemented and liquidity can flow across borders, Bank of America Merrill Lynch analysts wrote in a note last week. These efforts are currently blocked by German and Dutch authorities, though France’s finance minister signaled Friday that Paris is backing mergers between European banks. Finally, the ECB is meeting on Wednesday and there will be a few things to watch closely. Further information about the new round of TLTROs are expected and, more importantly, there may be details about a new approach to offset the impact of negative deposit rates for lenders, with some potentially surprising beneficiaries. In fact, should the central bank adopt a similar scheme to Switzerland’s SNB by exempting individual amounts from negative rates, banks in Germany and France would benefit the most, according to Bastien Drut, a senior strategist at Amundi’s CPR Asset Management. In the meantime, Euro Stoxx 50 futures are trading down 0.3% ahead of the open. 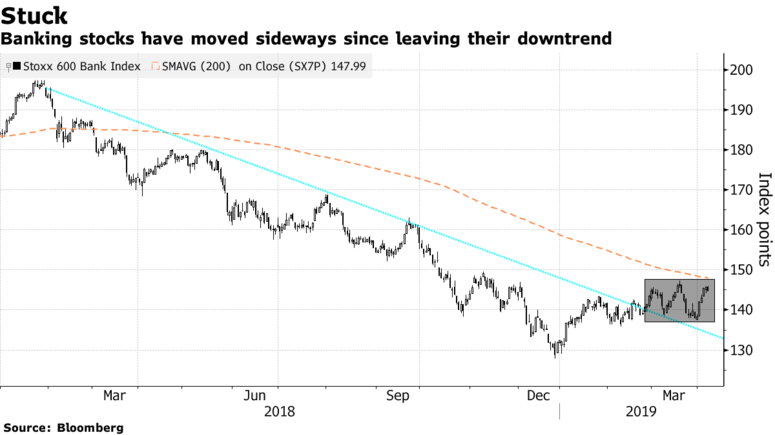 Watch Boeing suppliers after the European close on Friday that it will cut production of its 737 jetliners for the first time since the Sept. 11 attacks. Boeing said it will cut output by 19%, or to around 42 planes a month by mid-April. Watch Safran, Senior, Meggitt and Melrose Industries, all of which count Boeing as their biggest customer. Also watch Rolls-Royce, Leonardo, Thales, LISI, Cobham and BAE Systems. Watch carmakers after BMW said late Friday that it’s likely to take a 1Q charge exceeding EU1b related to EU’s investigation of the country’s carmakers allegedly colluding to delay introductions of cleaner-emission vehicles. Citi says that, while the case’s outcome is unpredictable, BMW’s move could imply provision of EU2.4b at VW, EU1.7b at Daimler. Watch oil and oil stocks after crude prices extended a recent rally amid fighting in Libya which has caused concerns about supply. Watch oil majors like Shell, Total and BP, oil-services firms like Wood and TechnipFMC and smaller oil explorers like Tullow Oil for any recovery. Watch the pound and U.K. stocks. Everybody is fed up with the Brexit deadlock, according to U.K. Chancellor of the Exchequer Philip Hammond, who reiterated his call to consider second referendum proposals. European Council President Donald Tusk wants to delay the divorce for as long as a year. Watch U.K. bookmakers after the biggest British horse race of the year was won by the heavily backed favorite. The second consecutive Grand National victory for Tiger Roll, owned by Ryanair boss Michael O’Leary, could cost bookies plenty in payouts to jubilant punters, one firm told The Racing Post, though some say they fared better than others. Citi upgrades Norsk Hydro to buy from neutral, saying the share price now includes the shutdown of the Alunorte alumina refinery, which could become a positive catalyst and lead to a re-rate if Alunorte comes back this year. Sees minimal downside to current share price. 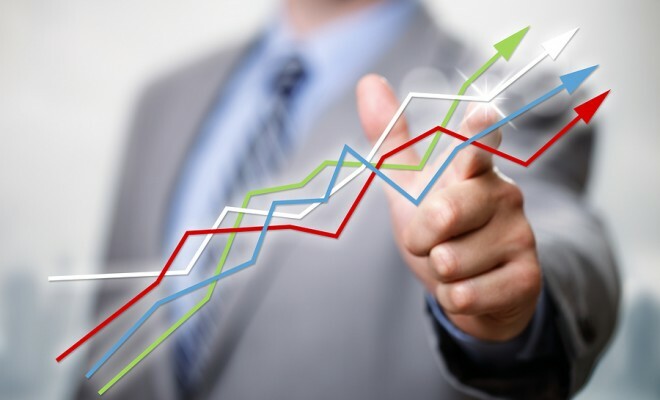 Moneysupermarket.com shares have jumped so far in 2019 but Berenberg is less confident about the price comparison service’s prospects and cuts its rating to sell from hold. Broker estimates see 4-9% downside to consensus Ebit for FY19-20 and shares look overvalued.